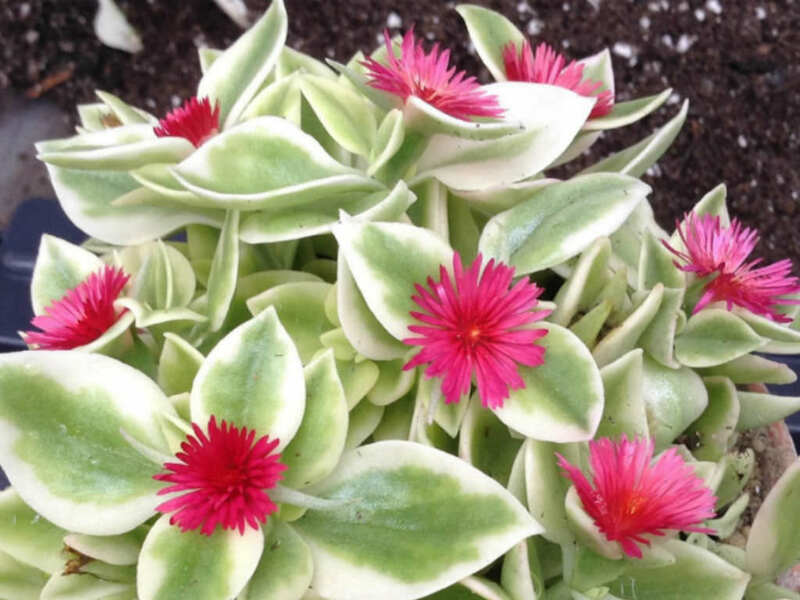 Aptenia cordifolia ‘Variegata’ is a nice trailing succulent plant that is perfect for baskets, planters and border landscaping. 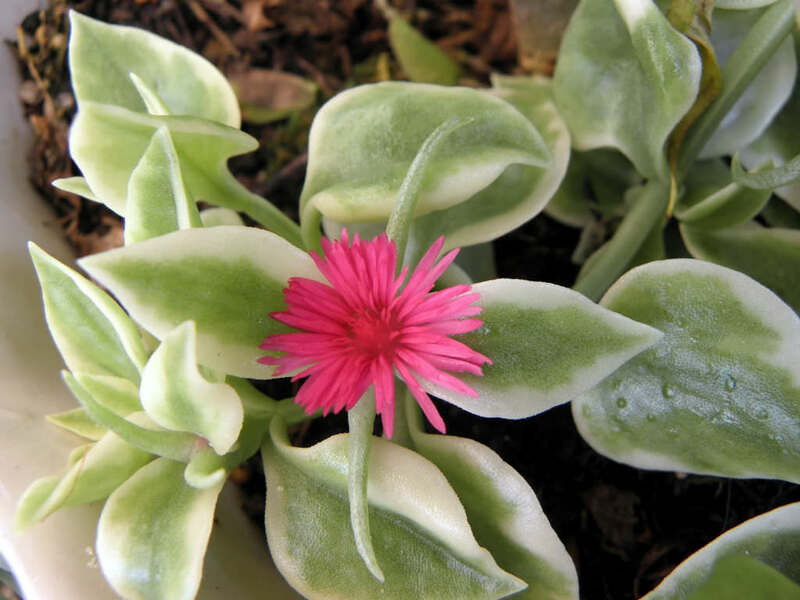 The smooth green and cream, up to 1.2 inches (3 cm) long, heart shaped leaves are speckled with magenta blooms in the summer and fall. Water Aptenia only when the soil is completely dry, and then provide enough to drench the soil to a depth of about 6 inches (15 cm). To check for dryness, poke your finger into the soil. 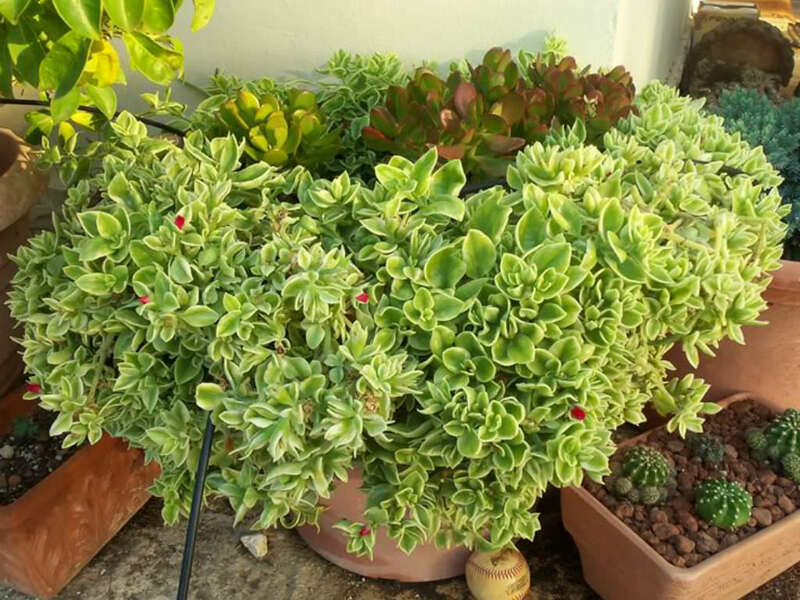 Never water if the soil feels damp or cool, as Aptenia, like all succulents, is prone to rot in soggy, waterlogged soil. Water Aptenia lightly during the winter if the leaves begin to look shriveled. Provide only enough water to moisten the soil as the plant deteriorates quickly in cool, damp soil. 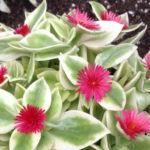 Withhold fertilizer, which isn’t needed and often results in a weak, floppy plant. 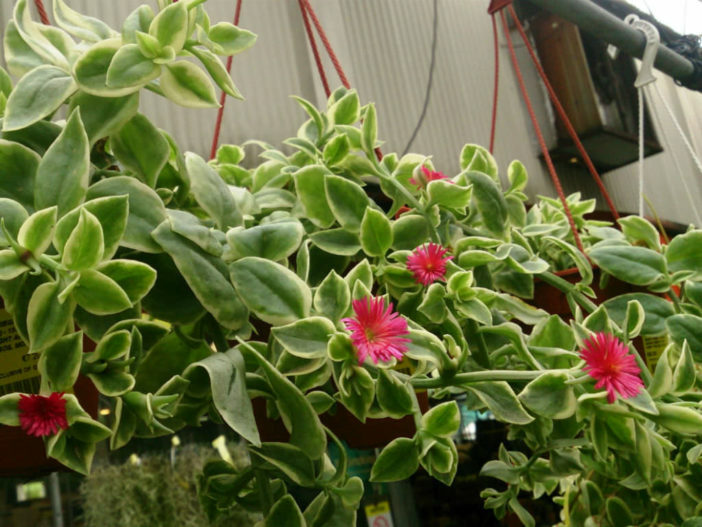 Trim the plant as needed throughout the growing season, using pruners or garden shears to keep the plant tidy. 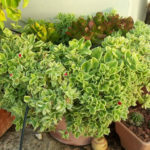 Pot the plant and bring it indoors for the winter when nighttime temperatures drop below 50 degrees Fahrenheit (10 degrees Celsius)… – See more at: How to Grow and Care for Aptenia. 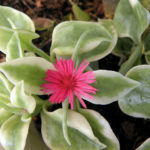 Native to South Africa (Eastern Cape, KwaZulu-Natal).